We offer a selection of rooms, with doubles, twins, suites (like the superior double ensuite) and a range of dorms, both ensuite and standard. 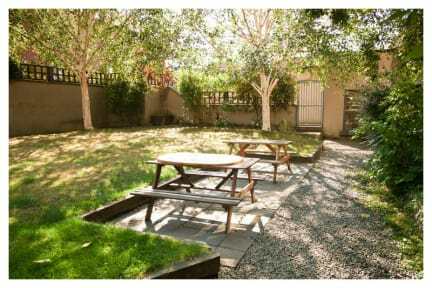 This hostel is ideal for groups of all sizes, with spacious rooms and large common areas. Rates include all bedding and shower facilities. Our Super Free Breakfast is served every morning and includes cereals, juice, boiled eggs, toast with jams, cheese and fruit portions, We can also arrange great-value group meals and packed lunches. We've got free Wi-Fi, free city maps and free Internet access on four computers. 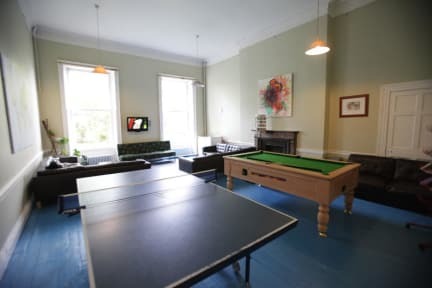 Our large TV and games lounge has snooker and free table tennis. The fully equipped self-catering kitchen has lockers so you can store your food safely. The staff at our 24hr reception are happy to provide towel rental, tour advice and booking, printing services, a bicycle storage area and a secure luggage storage room with lockers. There's also an international payphone. We can book your airport shuttle transfer. It's just a five-minute walk to O'Connell Street (Dublin's main street), where you will find the historic GPO, the Dublin Spire and Dublin's largest shopping district. We're only ten minutes' walk from Temple Bar, Dublin's nightlife district, and close to Trinity College, Jameson Distillery, The James Joyce Centre, Dublin's Writers Museum, Croke Park and the O2. What's more, we have some of the most competitive rates in Dublin city, and the street is an internationally-recognised heritage site.